Meet the Greeks are cardboard cut out figures derived from Greek mythology heroes as well as modern Greek stereotype characters. 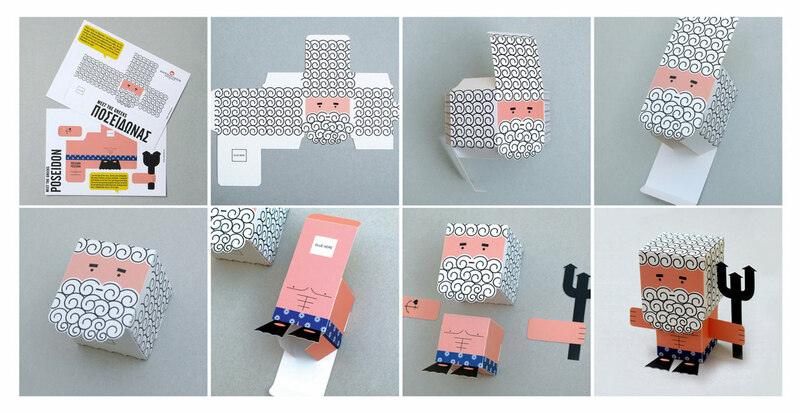 Each figure is made of two A4 size cardboard sheets. The general composition is a box for head plus a box for a body. 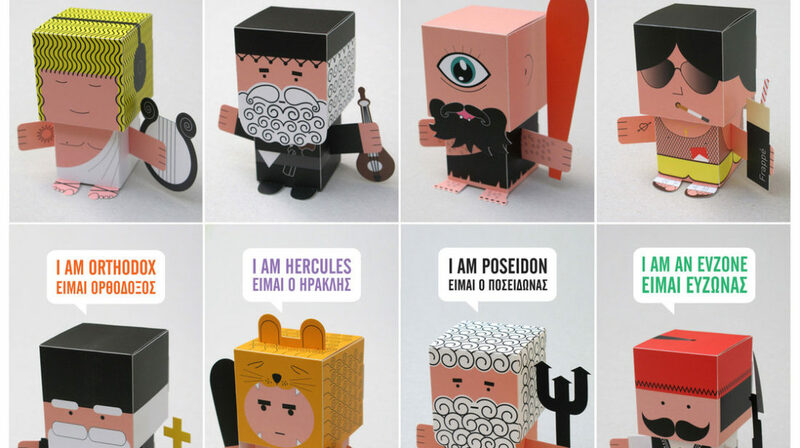 Hands and legs plus other appendages are slotted onto the boxes to complete your very own Greek hero. They?re light hearted and cheerful figures which are ideal as a small gift from Greece or for your own enjoyment.